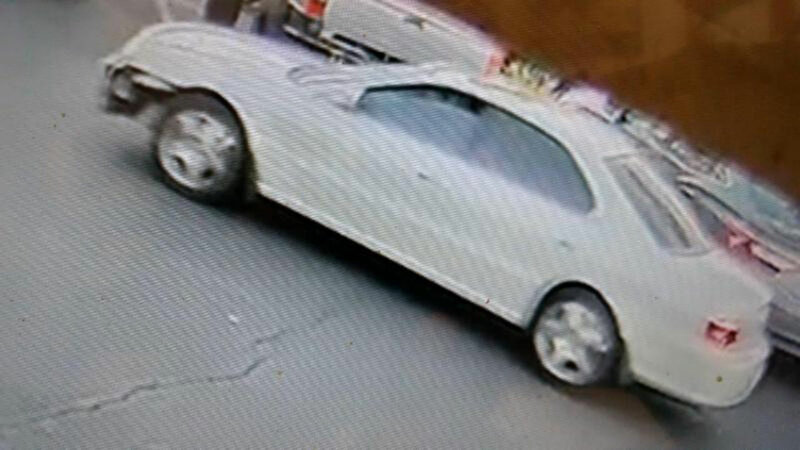 VALLEJO, Calif. -- Vallejo police released images of a vehicle that was involved in a hit-and-run collision Sunday evening that critically injured two small children. According to police, the vehicle is believed to be an early 2000 white four-door Acura TL with a sunroof. It is likely that the vehicle does not have license plates, police said. The surveillance images released by police show the vehicle after the collision, police said. On Sunday at 5:47 p.m., officers responded to the collision on Turner Parkway. At the scene they learned that a woman from Vallejo had been pushing her 2-year-old son and 3-year-old daughter in a stroller. They were walking north across Turner Parkway east of Foothill Drive when a vehicle traveling west on Turner Parkway struck the stroller. The children were thrown a considerable distance and suffered major injuries, police said. The vehicle fled the scene and remains at large, police said. The mother, who was not injured, and the two children were flown to a hospital for treatment. The 3-year-old girl was expected to be released from the hospital Monday night. The 2-year-old boy remains in the hospital. He has undergone two surgeries and is expected to need additional procedures to repair numerous broken bones, police said. The collision remains under investigation and anyone with information is asked to contact Vallejo police Sgt. Shane Bower at (707) 648-4329 and refer to case 17-13530.